February 26, 2015 Lexi Z.
I didn’t realize how universal (in the marketing world) the struggle to find the ideal content calendar system is. We run into this issue with our clients, sure, but we thought it was because there wasn’t an understanding of the marketing process on the client side. After reading Kevan Lee’s article this month, I realize that there are as many ways to create this organizational tool as there are brands in need of them. As Lee says, the calendars serve one purpose, to keep you from getting stuck head down in the creation of content and allow you to look heads up at the BIG PICTURE. Some people are satisfied with an Excel spreadsheet format; perhaps one that helps plan on the different social media channels, others find the need to differentiate between target audiences/personas, while there are some who need to focus on selling periods and production dates. But, if you ask me, I find Excel spreadsheets to be really icky. Because things never seem to stay the same in a thirty day period, I prefer something that is easier to drag and drop (without having to reformat)! That’s why I idolize the Basecamp calendar tool and peddle it like a ladies’ hysteria tonic in the Victorian age. It wasn’t until I read this article that I realized that similar software exists, like ProofHub, which reminded me of the one that I had abandoned in favor of the Basecamp I love today, Trello. Still, others prefer to have a tactile calendar. 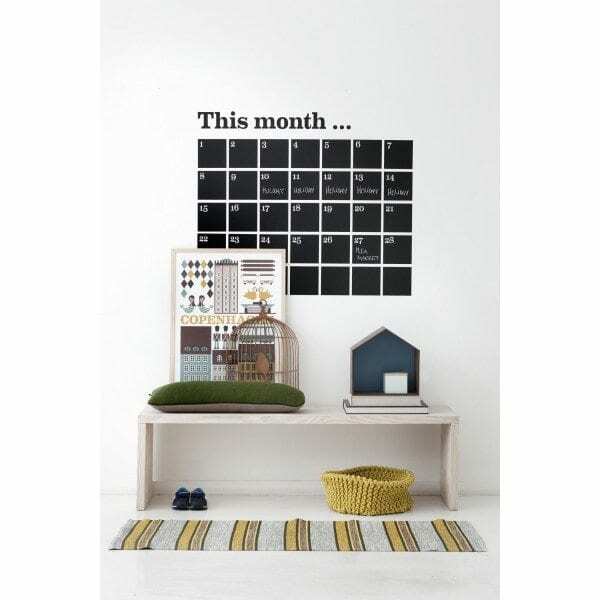 I’ve even heard of people using wall sized calendar systems, like this one from 17thandRiggs.com (below), that is essentially a huge set of stickers that you put up on your wall and use in conjunction with chalk. However, there is no need to invest in this type of solution! As one reader pointed out, the website print-a-calendar.com lets you type in key dates directly into a calendar that you can print out (it can even pop in standard holidays). Once you have this printed you can pencil in dates and move them around, use color-coded Post-it notes, stickers, etc to plan out content. I imagine you could even laminate the sheet and use a wet erase marker to present to your team members. The format is NOT as important as the activity of creating a calendar that helps you see the big picture and maintaining it to stay on track to your goals. Start by plotting out seasonal and annual events be they social, sporting, cultural, or your custom business milestones (semi-annual sales, charity events, quarterly surveys, etc) as suggested in my previous blog on the subject of content calendars. Whatever you do, remember you don’t have to stick to the same calendar system from year to year. It is an ever-evolving document and with these 8 suggestions, you are never stuck. 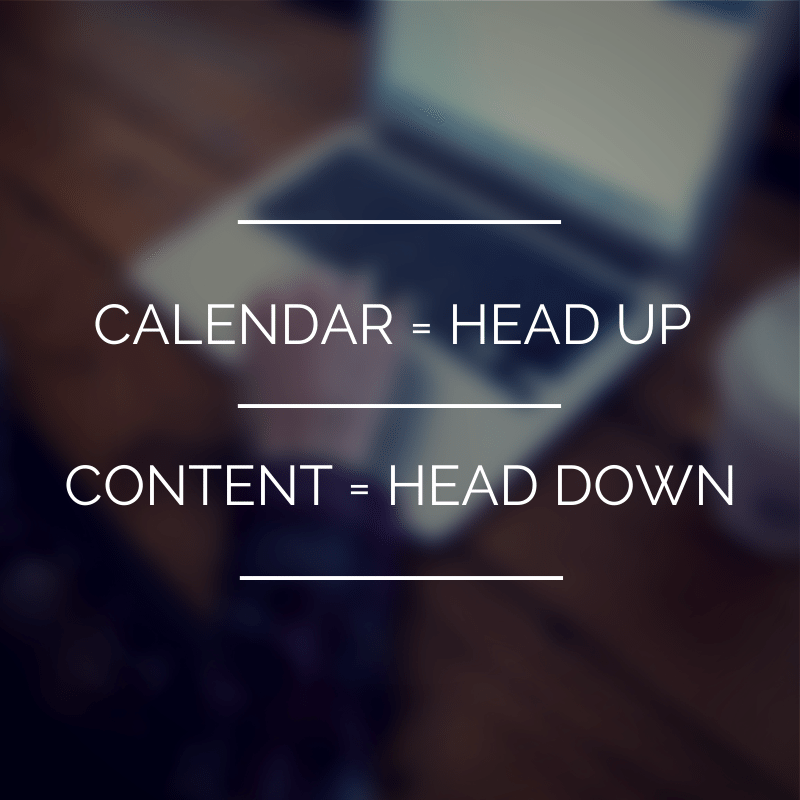 8 Content Calendars (and Advice on How to USE All of Them) March 13th, 2015Lexi Z.